Beat the traffic. Beat the bus lanes. Beat the jams! 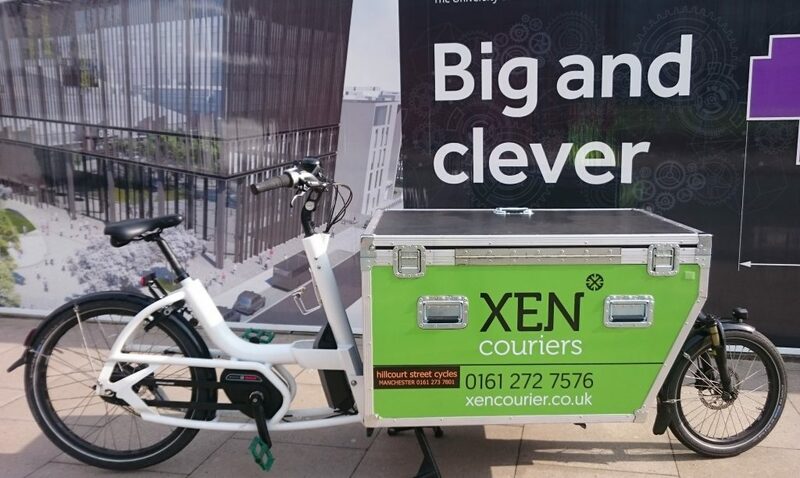 We have been running our cargo bike for around 4 months now and it is brilliant for deliveries and collections around the Manchester city centre. Many of you that have to negotiate Manchester on a regular basis will no doubt have noticed that much of the centre is virtually a no-go zone for cars. Bus priority schemes, cross city tram-links, collapsing sewers, alterations to traffic flows, general roadworks – there are many evenings when the centre is totally grid-locked. That is when our cargo bike comes into its own! With an electric-assist motor to help it along, we can allegedly carry up to 135kg – it can easily take 6 document boxes!